Which bulb do you need for your vehicle? 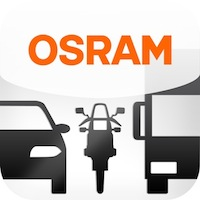 As the world's market leader in automotive bulbs, OSRAM offers a wide range of products: from the standard original equipment boxed products to innovative upgrade bulbs like the new NIGHT BREAKER® UNLIMITED for more light and increased safety, COOL BLUE INTENSE for style concious drivers and ULTRA LIFE for those that need a but that will last three times longer. 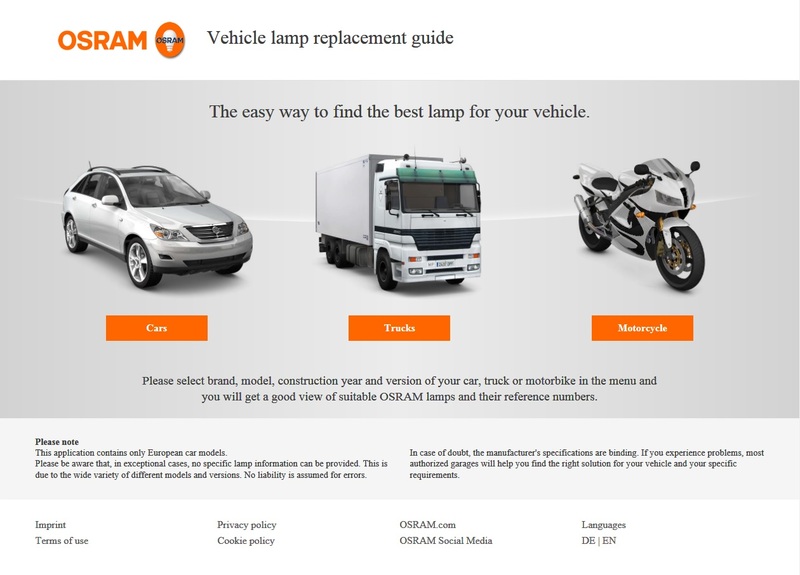 Click here>> and select the make, model and year of manufacturing of your car in the drop down menus and you will get a complete overview of all the suitable OSRAM bulbs with corresponding ECE reference (i.e. H7 or H4 type) that you need for your required application. The application now also includes interior bulbs for cars. Please be aware that in exceptional cases that no specific information can be provided. This is due to the wide variety of different models and versions. No liability is assumed for errors. In case of doubt, the manufacturer's specifications are binding. If you experience problems most authorized garages will help you find the right solution for your car and your specific requirements.